Welcome to the world of Casinia Casino where all of your casino wishes can come true. Including this fantastic new player bonus worth up to €500 and 200 Bonus Spins! Casinia is home to dozens of software developers and hundreds of slots and popular casino games available! Check it out! 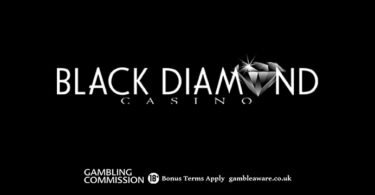 Get €500 Casino Bonus + 200 Bonus Spins! Available to new Casinia Casino customers only. Minimum deposit €20 required. Wagering requirements 30x. Maximum bet caped at €5. Bonus terms and conditions apply. Casinia is the land of gaming. Step into this incredible kingdom full of your favourite games from the biggest and best developers in the business! You’ll be met with incredible rich graphics and exciting promotions and tournaments that will draw you into their world and maximise your fun while you play at this multi-software casino! Casinia launched in 2017 and comes from the Araxio Developments group who also brought us Buran Casino and the fabulous YoYo Casino. 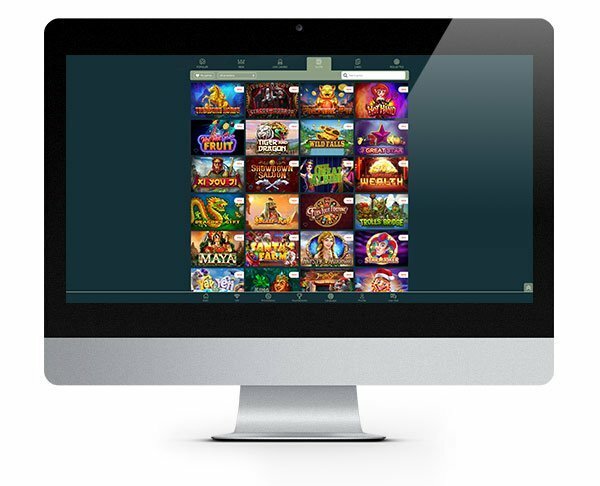 The team behind the brands are experienced and passionate about bringing their players a slick and seamless casino experience but also one that looks fantastic too. The quality design and intuitive layout ensure your session goes without a hitch. If you do happen to come across any problems while playing at Casinia, they have round the clock support available. Their customer support team are contactable 24/7 via live chat, email and telephone so you won’t have to wait too long to get the answer you need so you can get back to playing. The casino also accepts a huge number of different deposit options including multiple currencies. Trustly, Neteller, Sofort, Skrill, Paysafe Card, Zimpler and Neosurf are just a few of the payment options available. Casinia Casino has a brilliant collection of games. It’s in most part down to the fact they have brought in the combined mite of more than twenty-five different software developers! Both big and small, emerging and established you’ll find a hugely diverse collection of software at Casinia with something to suit everyone. Just a few of the developers you can find here include Thunderkick, Evolutions Gaming, Betsoft, Netent, Microgaming, Yggdrasil Gaming, NYX Interactive and Play ‘N Go! When you enter the lobby, you are immediately met with a wealth of games, many popular slots as well as table games that will transport you right to the casino floor without ever having to move. They have provided a number of different categories which will enable you to explore the various games available more easily. You can also use the drop-down list to select a particular software developer. Some of their most loved slots include Immortal Romance, Emoji Planet, Big Bad Wolf, Beauty and the Beast, Wild Wild West and Finn and the Swirly Spin. You can enjoy the slots for free or play for the chance to win real prizes by making a deposit into your account. The live casino is powered by both Ezugi and Evolution Gaming so the choice is on point with every casino floor staple you could need. Their professional croupiers are always ready to welcome you to a table game! Live blackjack, roulette and baccarat as well as various versions of poker are available to play at Casinia Casino. Casinia Casino – €500 Casino Bonus + 200 Spins! Sign up to Casinia Casino and enjoy this two-part welcome package with 200 Bonus Spins and a potential of up to €500 in bonus cash available! IMPORTANT NOTICE – Make sure you are aware of gambling regulations in your country of residence before you register at Casinia Casino. Make Casinia your next online casino destination and experience hundreds of fantastic casino games and popular slots. 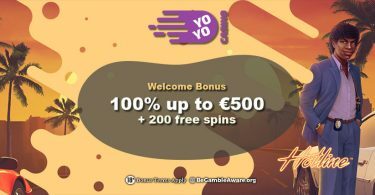 YoYo Casino: 200 Free Spins + €500 Bonus Cash!